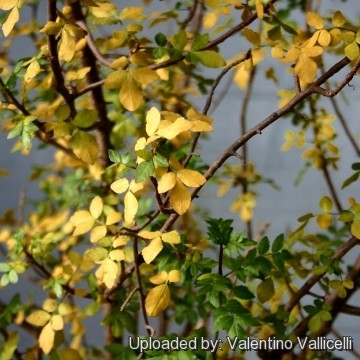 ( Autumn ) Perhaps this is the nicest species of the genus, it has a thick caudex and leaves that release a delightful citrus odour when crushed. 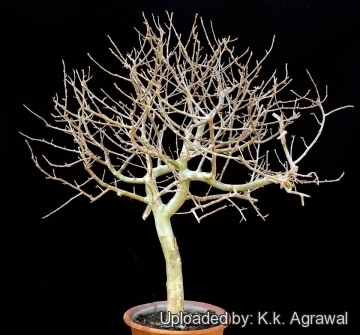 Plants remain dormant much of the year, leafing out only with the onset of hot summer weather. They defoliate in Autumn, making an attractive display as the leaves change to yellow, orange and red. Origin and Habitat: Grows wild in the Sonoran Desert in north-western Mexico (Baja California and Sonora) and in southern Arizona. Habitat: It lives in regions with extended dry seasons in warm-temperate deciduous broadleaf and mixed forests biome often on dry limestone cliffs. 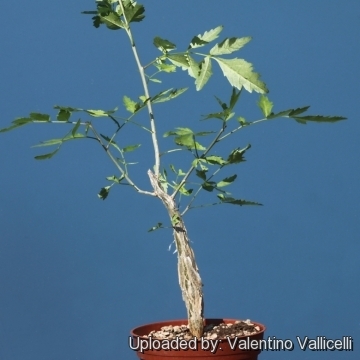 Bursera fagaroides f. bourgeauana Engl. 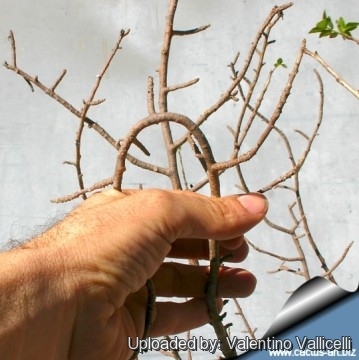 Bursera fagaroides f. crenulata Engl. Bursera fagaroides f. elliptica Engl. 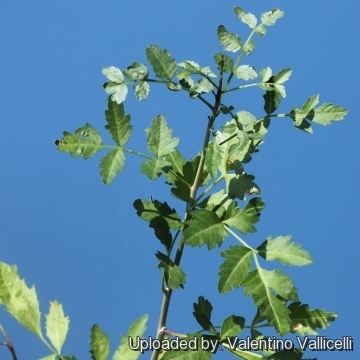 Bursera fagaroides f. ramosissima Engl. 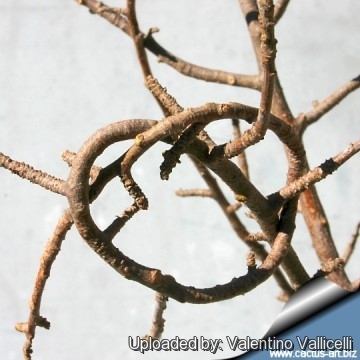 Description: Bursera fragarioides is a pachycaul shrub or small aromatic tree 3-10 m tall with sculptural multi-trunk with Age, especially visible during deciduous drought periods. It lends itself perfectly to chuhin (midsize bonsai). This taxon is extremely variable and hybridize in nature with sympatricaly grown species and form a taxonomically difficult group. 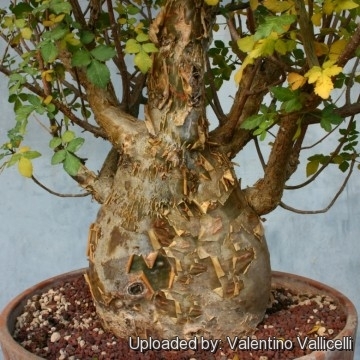 Stem: This species develops a swollen short, trunk (caudex), the bark is very attractive, tight and smooth, reddish brown, grey or yellow, flaky, papery and peeling to reveal grey-green. Twig are widespreading, resinous and stout but flexible, reddish brown. Leaves: Aromatic, alternate, imparipinnate with 1 to 7 pairs (rarely 9) of leaflets per leaf; broadly lanceolate, base cuneate, 0,5 to 3cm long and 0,3 to 1 cm wide, up to 10 cm overall, petiole 5 to 15 mm in length; glabrous on both surfaces, margin entire, sub-toothed, toothed or serrate. Flower: Unisexual, small, creamy white, borne on long stalks, may be clustered, solitary or in pairs in the axils of leaves; calyx 1 to 2 mm long, glabrous; petals 3 to 6 mm long, whitish; stamens usually 6, sometimes 8 to 10; The female flowers usually with both sexes well developed but one of them usually is not functional. Fruit: The fruit is a brown or bluish drupe about 5 to 8 mm in length maturing in late fall. 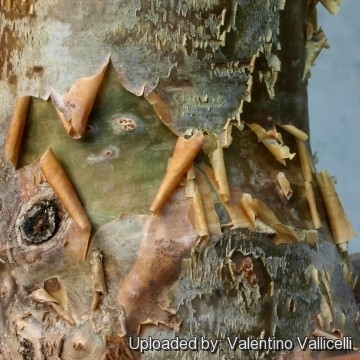 Notes: Its aromatic resin has been used traditionally in perfumes, incense, and oils throughout the centuries. The copal incense can be burned on a incense burning disk, its smell is said to calm and clear the mind. 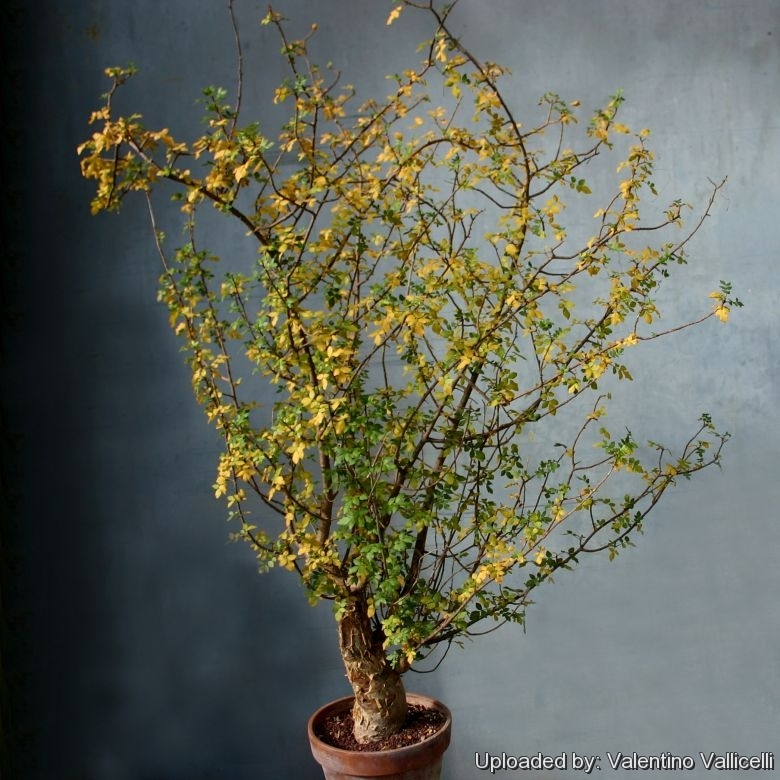 Cultivation and Propagation: Bursera fagaroides is a striking drought-resistant shrub or small tree fairly easy to grow both indoors, as well as outdoors. It has potential as a landscape subject in the cactus and succulent garden essentially frost-free areas. In the winters it is deciduous. The leaves are aromatic when crushed. Hardiness: Hardy to -4°C they prefer a dormant, winter rest period, water regularly in summer, keep almost dry in winter. Propagation: By seeds or (rarely) by cuttings. Seed viability appears high regardless of season of collection. Seeds germinate germinate quite easily in 4-14 days in warm weather and seedlings develop rapidly. Cuttings made in summer may form roots and begin vegetative growth within eight weeks.